Lantek, leading company in the development, commercialization and integration of management software solutions (CAD/CAM, MES, ERP, Advanced Manufacturing) for the sheet metal industry across the world, begins 2017 with growth forecasts of 19% on its current turnover. This increase will be most evident in the European and US markets, where the multinational company has already achieved significant increases in the turnover of this last year. 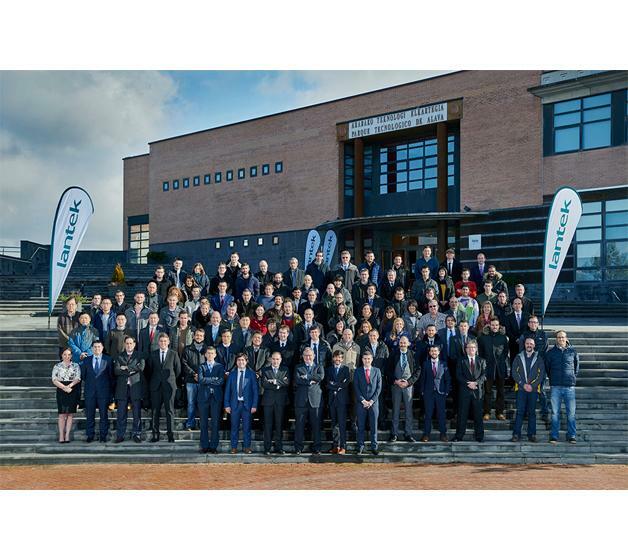 From the 24th to the 26th of January, Lantek gathered together all members of its commercial and technical team at the International Meeting 2017 to review these forecasts and to share the main strategies for the whole of 2017. The growth of Lantek is mainly due to the increase of its turnover in the Solutions Division, more than 68% compared to last year, and also in CAD/CAM, where it hopes to continue growing at a figure close to 7%. Europe continues to be the market where large growth is predicated, especially in countries such as Spain, Germany, France and the United Kingdom. Another country where a significant increase in turnover is predicted is the USA. During the celebration of its International Meeting 2017 at its headquarters, the Lantek team confirmed its growth strategy and the most important changes for this year, including the opening of new offices which stands out as being key. “We also predict a significant increase in maintenance services and the consolidation and increase of large projects such as those existing with brands of acknowledged worldwide prestige such as John Deere and Salzgitter. We will also enhance current alliances with our partners and we will work to form new ones within the framework of Advanced Manufacturing. Finally, we will encourage new agreements with global OEMs”, explained Lantek’s CEO. The sessions were brought to a close by Alex Arriola, Managing Director of the Government Agency SPRI. He stressed the importance of having a company that supplies industrial software on a global scale and that promotes Industry 4.0 worldwide. During 2016 Lantek significantly increased its turnover in many of the countries within its network. The increase in markets such as France (24%), Spain (22%), Italy (19%), Canada (17%) and China (11%) is particularly significant. Regarding the company’s different product lines, the consolidation and growth of Lantek Factory must be highlighted which is closely linked to one of the company’s largest development fields: Industry 4.0. 2017 will also be a year in which Lantek will continue with an important commitment to investment in R&D to continue to innovate and resolve the challenges of its thousands of clients situated throughout more than 100 countries worldwide. Accordingly, the company plans to incorporate around 30 new people into its workforce.